Just catching up on the latest news, and came across this on ferrari.com.. 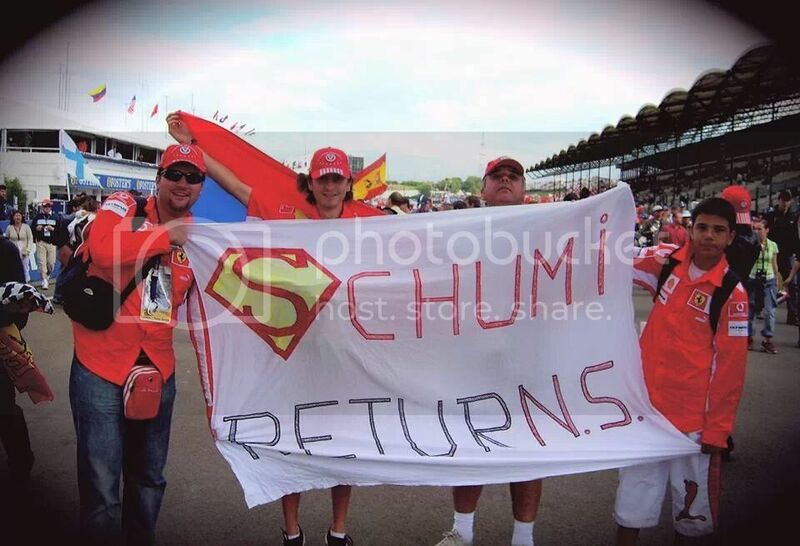 I hope Schumi will soon be able to wake up and see the tremendous support for him. Sigh, that's pretty low to drag Schumi's condition into whatever it is that person is trying to prove. I hope someone punch him in the face for that. Happy birthday Champ, stay strong. Positive thoughts and best wishes to Michael and his family today. Keep fighting Michael! A red tie to work today was all I could do to show my support but I hope that collectively his family could feel the love and warmth from the Ferrari family round the world and that it provided even a momentary bit of comfort. 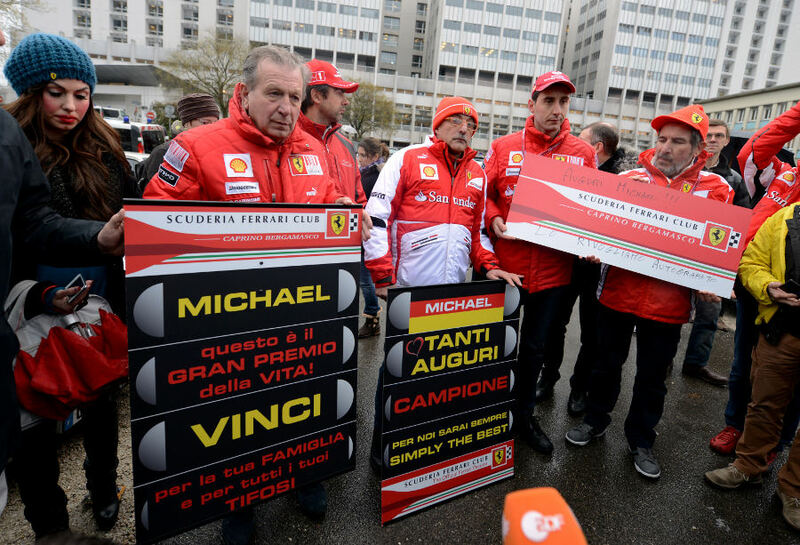 I really am blown away by all the support Michael is getting from everybody but especially the Ferrari fans. I can't wait for Michael to wake up and see how much love there is for him. Would anyone be able to translate French? If that is the case, and Michael's conditions are no longer life threatening, that is utterly fantastic news. However, I will keep my reservations for now - who knows what can happen, the brain is so delicate. Until the doctors specifically say that is the case, I will continue to keep my fingers firmly crossed. Also, given the fact that the doctors and Sabine have all said there would be no updates unless the situation changes, it seems a little odd for him to break the trend and essentially give the public such news. Excellent physical condition does not refer to the brain, though. I hope that you are correct. From the BBC - stuff removed that isn't relevant. Police also interviewed Schumacher's teenage son, who witnessed the crash. News of the camera's existence emerged late on Friday afternoon. 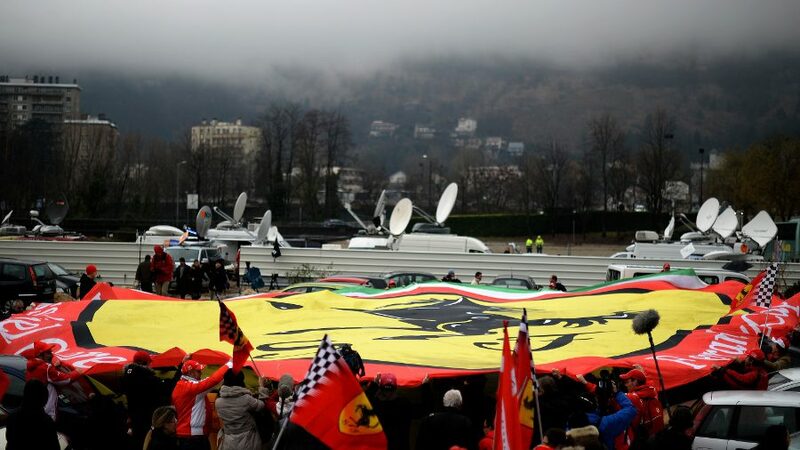 AFP said Schumacher's family had handed both the device and helmet to the authorities for investigation. I don't want to sound like I'm being a downer but I would be reluctant to take too much from media reports like that one. It won't be until they attempt to wean the anaesthesia and withdraw some of the ICU support that any doctor will even dare utter the words that his condition is not life threatening. Until they do that, the most they can report is that the intracranial pressure is stable and the immediate complications are under control. It's still very very early days. I would also be extremely cautious when reading any articles online claiming to explain his injuries in any detail or any predictions about prognosis. The doctors haven't revealed information like where the haematoma was or any of the other prognostic information required to even base a prognosis on the numbers quoted in the literature. I even saw one news outlet present a drawing of the possible injuries which in my opinion is just misleading. I only know one thing for certain, if one man can beat the odds it's Michael Schumacher! i really hope he has a 100% mentally, so he can realize the support h is receiving. The art isn't in never falling but in always getting up. Let's just remain cautious until we hear some official word. Really that man shouldn't be commenting to the media at all. According to Bild, Schumacher's management have said the Streiff statement is incorrect. Exactly the reason we should wait for the doctors to speak. In a nutshell - He is still critical but stable; everything else is pure speculation. No press conference before Monday. I agree Rob no news at this time must really be seen as good news. These type of injuries will not get better overnight. We must all dig in and accept we will be in this for the long haul - a marathon GP but the checkered flag at the end still very sweet. Thoughts and prayers with Michael and his family. In the meantime thanks to everyone for keeping posts on this site - you are keeping me well informed as I dont have the time to trawl for info the way some of you are doing - my heart felt thanks.